I live in a majority white city, so it’s just been recently that there has been any recognition of this holiday. 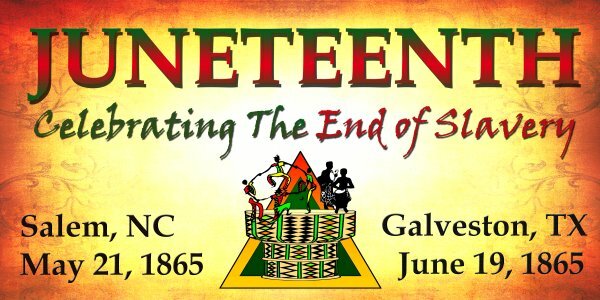 I know in other parts of the country, Juneteenth is celebrated with much fanfare in majority black communities. Juneteenth is the true 4th of July for black folks. The day marks our freedom from the inhumane practices of slavery. If there aren’t any events happening today in your city, I’m sure things will get turnt up this weekend! Attend an event if you can. It’s an opportunity to give honor to our ancestors who suffered for our liberation.